This entry was posted in Arctic, By country, Europe, France, Germany, Iceland, Norway, Spain and tagged CrimeFest14, Petrona14 by Mrs P.. Bookmark the permalink. Reblogged this on euro but not trash. It was indeed. Hope very much to see you there one year! Scandinavian crime fiction always has appeal. Glad to find out about these authors and award winners. 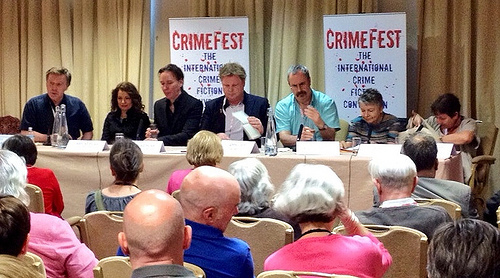 Yes, some really high quality writers, and a distinctive approach to crime writing that is very appealing. Hope you find some novels on the list that you’ll enjoy! A great rundown. I’m just sorry I couldn’t make it. Thank you. You’re welcome, Rebecca. Hopefully another time! Thanks for your comment – very interesting. Which one would you have chosen from the shortlist? Or is there another one that you thought should have made the cut? I think I would have gone for ‘Someone to Watch Over Me’ by Yrsa Sigurdardottir though ‘The Weeping Girl’ by Hakan Nesser made it a hard choice. Both those novels seemed more complete than the final winner. I live in Beijing, and there are quite a few Chinese authors of crime fiction which is now translated in to English. If you are interested I would be happy to give you a little list. Your blog is a ‘must-read’ for me, I have discovered some cracking fiction thanks to you! It would be lovely to have a little list of Chinese crime novels that you’d recommend – it’s definitely a country that’s under-represented at the moment on the blog. I’ve visited Beijing twice, once in 1990 and once in 2008, and had a fascinating trip both times. It must be quite an experience living there. Thanks for the recap, Mrs. P! I’ve only read one of the Petrona shortlisted books, but I’ve read others by two or three of the shortlisted authors, which is a start. Sounds like a fabulous festival. Mrs P, thanks for the report. I was not surprised Linda won the Petrona. Leif G.W.Persson may not be everyone’s cup of tea but when you create a unique character such as Backstrom you deserve to win awards. Hakan Nesser’s The Weeping Girl was the other book I thought might win as the Indridason was not up to the very high standard of previous books in the Erlendur series. I am surprised Strange Shores has made the International Dagger shortlist, different judges, different opinions. You’re welcome, Norman, and yes, the innovative nature of the narrative and that particular character was definitely a factor! I like Strange Shores, but think my opinion of it is partially shaped by the fact that it’s closing out a fine series. A good International Dagger list, I thought. Quite a bit of variety, and I’m keen to get my hands on The Siege. Hooray! I shall hold you to that! Thanks for sharing some of your highlights Mrs P. The comments from Manotti are interesting though I don’t really agree with her. To me fiction does need to entertain before – or at the same time as – it explores social issues. If you’re not going to do it that way then write non-fiction, yes? I’ve read too many books where I have felt bludgeoned by THE MESSAGE I guess. But I can definitely sense this is a non-European viewpoint. As for the Petrona Award I am glad it was such a good field – the winner wouldn’t have been my personal choice (I plumped for the Nesser) but I can see its attractions. You’re welcome and thanks for raising these interesting points. In many ways I guess the ‘entertainment vs issues’ debate sets up a false dichotomy (as Angela suggests in her comment below). I agree with you that crime fiction does need to entertain, but in my view it’s hugely enriched when it also engages with serious issues. The main reason I was glad Manotti spoke up was due to the strange reluctance of many British authors at the event to concede that crime fiction could play a serious social role. I almost wonder if there is a kind of self-censorship going on – that it says in a manual somewhere ‘even if you do write crime fiction that engages with political/social issues, on no account admit this to your audience as you will alienate them (and then they won’t buy your books)’. It felt like a peculiarly British kind of anti-intellectualism and the contrast to Manotti (who has had a distinguished academic career and comes from a country that celebrates the intellectual) was striking. It was simply refreshing to hear her say that crime fiction has a social/political role to play. I almost cheered. As for sticking to non-fiction: yes, authors could do that, but then they would potentially miss a chance to reach and influence a mass audience. The popularity of crime fiction is one of the reasons why so many journalists, historians and academics who feel strongly about issues decide to write a crime novel (as well as the financial incentive!). It offers the perfect vehicle to get their views out to a huge audience in a far more accessible form than that of a historical study or academic paper. For example, M.J. McGrath, journalist and author of White Heat, first wrote a book on the forced migration of Inuit families, The Long Exile, before using that research in her crime fiction (http://www.melaniemcgrath.com/the-long-exile.html). Of course, you have to be a good writer to pull this off. I totally agree that bludgeoning the reader with THE MESSAGE is counterproductive. Making the narrative entertaining is a prerequisite for getting the message across well. Thanks for a terrific write up, Mrs P. The Euro Noir book looks like a must-have for all noir fans. On the question of crime writing and social responsibility, my sympathies lie with Manotti as a writer and with Bernadette as a reader. My favourite crime fiction reads are those that entertain and teach me something about the world. You’re welcome, Angela. Yes, Euro Noir is definitely a must for all fans of noir (and good crime fiction)! You’re quite right to point up the different perspectives of the writer and the reader when considering the entertainment/social issues debate – a very important consideration. And I agree with you totally – for me, a crime novel that manages to both entertain and teach us/make us think is the best kind of crime fiction. There’s no reason why a crime novel can’t do both, difficult though that task may be. I’ve responded at length (!) to Bernadette’s comment above. I’d be interested in your views as an author on how easy/difficult it is to discuss the more serious issues raised in your work at crime events. Is there a pressure to dial down the serious stuff in case the audience feels alienated? 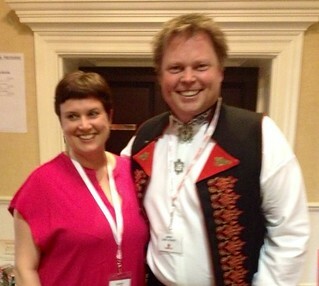 As for talking hard stuff at Writers Festivals, let me illustrate by way of example. I was in Brisbane last year on (yet another) panel talking about the importance of place in crime fiction when the chair posed the question, ‘Why do you think we talk so much about the importance of place in crime fiction?’ I replied, ‘Because it means we don’t talk about the crimes’ and I listed the social issues that my novels and those of my fellow panellists dealt with. Everyone nodded, then went back to talking about place! Thanks for those author quotes and the link to your blog, Angela: that was clearly a fabulous panel, and as it happens, Lucarelli is one of my favourite authors. His de Luca trilogy is an excellent example of how crime fiction can engage with really serious historical, political and moral questions, but be enthralling at the same time. Good on you for managing to pull everyone away from the obligatory topic of location for a while! Very interesting anecdote…! Oh I’m definitely in the camp that likes best the books which both entertain AND show me something new or interesting…it just sounded a bit like Manotti was saying the entertainment portion doesn’t matter and that’s what I didn’t agree with but perhaps I misinterpreted. I think Manotti was saying that for her the political/social dimension came first, but I don’t think she was arguing that crime shouldn’t be entertaining too. And I totally agree that the kind of intellectual snobbery you see being directed at crime fiction (any fiction) because it is popular is highly misplaced. Manotti was bemoaning the fact that crime fiction is looked down on in France by the literary establishment, and not given credit for its contribution to political/social debates (not quite the same point, but related…). Great acceptance speech from LG, & nice to see him thanking Neil Smith, strange that not many people picked up on that. To me translators are the unsung heroes of Euro Crime Fiction. Completely agree With Manotti, probably why I don’t read much UK crime fiction! I’m wondering if ‘Strange Shores’ was regarded as a novel rather than ‘a crime novel’ ? Some reviewers believed it transcended the genre? We will see how it does in the other awards. About time Jan Costin Wagner started making the award list. Last thing, what did you think of the butchery of ‘ A Troubled Man’ last Saturday? I never really been a fan, but I did think this was his best book. It really was an awful adaption, I hope the BBC do a better job! I totally agree with you, Brian. It was lovely to see Persson acknowledge Neil’s vital role and his skill in presenting the (ahem) rather unusual central character; that was something that really came across at the award ceremony, which was great. I’m not sure about Strange Shores. Views on it seem to be rather mixed, but those who are disappointed seem to feel that it was not up to the others in the series more than anything else. I really liked it myself, because it was very true to key themes of the series. Wholeheartedly agree about Mr. Costin Wagner! 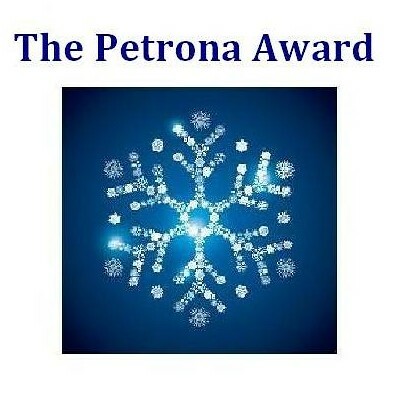 I haven’t yet seen The Troubled Man, because it aired the night of The Petrona Award. Oh dear, not so good a job then? Planning to catch up soon and will let you know what I thought! Hello Brian – I saw The Troubled Man last night and thought it was OK, though not spectacularly good. Is my memory faulty or were there a couple of plot points that were changed? But I do think that the depiction of Wallander’s increasing health problems was tackled bravely and well. It must be the first time that a TV detective has been shown with this condition (?) and I’m interested to see how far they go. This is such a complicated yet continual discussion in the world of crime fiction: to educate and/or to entertain. I agree more with Manotti, but the books have to be well-written and enjoyable. I think the bar was set by Sjowall and Wahloo, who wrote good plots and exposed social issues in Sweden in the 1960s and 1970s. They are universally liked. As far as British crime fiction, I find that writers who live in Scotland and Wales do cover social issues well, while writing entertaining books. I can mention Denise Mina, who is a favorite author of mine. Having read one book by Gordon Ferris, I can say he does that, too. And as far as Wales, within my limited range, I can say that Mari Strachan gets in social issues in her two novels, including war, poverty, women’s inequality, etc., albeit subtlely. issues, as in Nemesis, on the mistreatment of Roma immigrants. Arnaldur Indridason writes social issues, including on crimes against women, in his series. And here in the States, one author who does this stands out as one of my top writers: Sara Paretsky. Even writing about WWII horrors, as in her last book, Critical Mass, there are still enjoyable and downright witty moments. Thanks, Kathy – that’s a brilliant list and an excellent illustration of how much crime fiction addresses historical, political and social issues, and right across national boundaries as well. It’s just a shame that British crime writers don’t seem too keen to celebrate this aspect of crime writing (or at least most of the ones I heard at CrimeFest; hopefully a few will pop out of the woodwork!). I’m a big Paretsky fan – good to hear about her latest one, which sounds right up my (researching) street. She wrote another novel in that area a while back called Total Recall – I’m guessing you will have read it. Thanks very much for the tip! 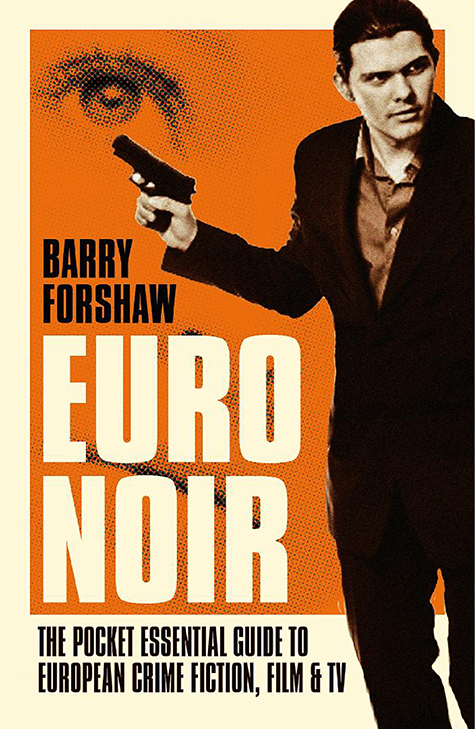 Lovely to meet you in person at Crimefest, Mrs P. I’d like to endorse your recommendation of Barry Forshaw’s Euro Noir which I read on the train on the way home. As for social content, crime-writing is a broad church and I think there is room for the novel of pure, escapist entertainment as well as for more intellectually demanding fare. However I do think there is something of an anti-intellectual bias here and writers are afraid of sounding pretentious in a way that they are not in France. I often wonder why more writers don’t touch on social issues, too. And I have found that reluctance in books from English writers, but not Scottish, Welsh or writers from the north of Ireland. I wonder what English writers are concerned about in this scenario. Yes. I love Sara Paretsky’s books, and have read all of the V.I. Warshawski novels and also the stand-alones. I grew up in Chicago, so that setting makes the books another draw for me. trafficking, poverty, oppression of children, police corruption and environmental destruction are tackled in her books, which also contain human interest, great characters and wit. (They’ve also sent me to learn more about the flora and fauna of Thailand on the Internet.) And other Australian writers weave in issues, too. You seem to have so much fun that I’ve decided to start saving to go next year and meet you all.! Fantastic news! It would be excellent if you could come 🙂 It’s a criminally good few days and the company is ACE. Dying Detective’ will be out in October? They seem to be the two months favoured for release of his books. One for your World Crime Noir, ‘ Game of 5’ by Marco Malvaldi, bought it while I was browsing Watsrstones this morning, sounds like an Italian Vargas! Whose latest I finished last week, as always very enjoyable. There’s certainly something very distinctive about her writing style, I know it’s not to every one taste, but I really enjoy it. Did you catch the first episode of Quirk last sunday? Not sure what to make of it, will watch again tonight. Was certainly a long while getting screened, must have finished filming at least 12 to 18 months ago, makes you wonder when it takes that long to get showen.